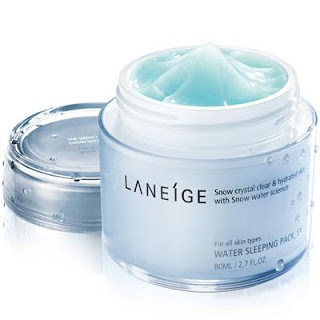 This review will be based on a sample of the product which my sister kindly took from a Laneige counter for me, as I do not own the full sized product. This sleeping pack claims to give intensive hydration, vitality and a brightening effect while restoring skin with deep relaxation through aroma scent during sleep. It is said to be suitable for all skin types and is alcohol free, which makes it suitable for those with sensitive skin like myself. This product has been highly raved about on the Internet so I was super excited to get a sample of this. Application/Texture/Consistency: The sleeping pack comes in a light blue gel which has a very light, watery texture. Application is easy as the gel can be easily spread all over the face. Using the recommended amount of 2.5cm in diameter is more than sufficient for the entire face and I find that it leaves my skin feeling greasy and sticky and took quite a bit of time to sink in. 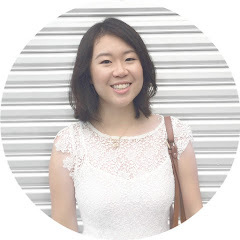 Using less than the recommended amount, however, allowed the product to sink into my skin without leaving a sticky, greasy feeling- so I guess it really depends on the skin type and the amount of product used. Also, although this product does contain silicone in it, I did not feel that much of a silicone feel in the product in comparison to The Face Shop Aqua Sleeping Pack which feels quite silicone-y on the skin. Scent: This sleeping pack has a very light aqua, marine-like scent which is very refreshing and calming- I like! Price: At RM100 for 80ml, I think it is pretty worth the money as a little of this product goes a long way. Where can I purchase this?- At all Laneige counters nationwide which can be found in selected Parksons, Jusco, Robinsons and Isetan. very detailed review, nice! I am actually eyeing this sleeping mask but, unfortunately it's way too expensive here in our country. Let me know you thoughts on it.